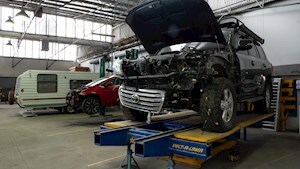 Our state of the art crash repair workshop is located in Prospect, Adelaide. 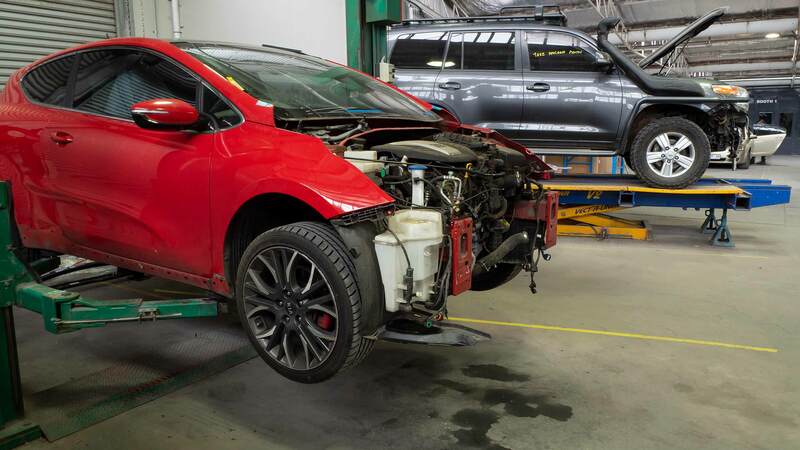 We are one of Adelaide’s leading crash repair shops and no job is too large or too small. We are uncompromising when it comes to the quality of our work and will work diligently to bring your vehicle back to its original condition as if it were our own. We repair all makes and models of vehicles, from high end sport and luxury cars, to four-wheel drive and light commercial vehicles. We have trained some of the best panels beaters in the industry under our Industry Accredited Training Program. We are known for our high standards and attention to detail. This does not mean you pay more, it just means you get a professional job, fixed right, first time. Your vehicle’s manufacturer technical data is on hand with our technicians to ensure your vehicle meets 100% of the standards that it had when it left the factory. With our lifetime warranty, this gives you peace of mind that your vehicle is repaired correctly, safely, and that there will be no further issues down the track. The paint work at Walker Crash Repairs is done in our dedicated paint shop, which is equipped with the latest technology. Vehicles are sprayed in heated, dust-free spray booths, which allow us to refinish your vehicle to an as-new and original condition. Our three dedicated, IRT fast-track infrared bays allow us to rapidly speed up the refinish process, meaning we will have your car back to you sooner. The Permahyd Hi-Tec system is the latest next-generation product on the market, and is the product of choice for many car manufacturers because of its high quality finish and perfect formation of paint layers. Walker Crash Repairs provides an end to end and professional fleet car crash repair service. We manage the process from the quote to the insurance claim, putting your fleet back on the road as quickly as possible.